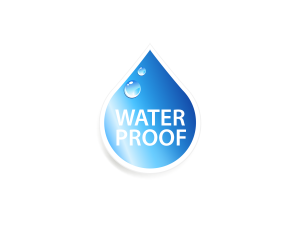 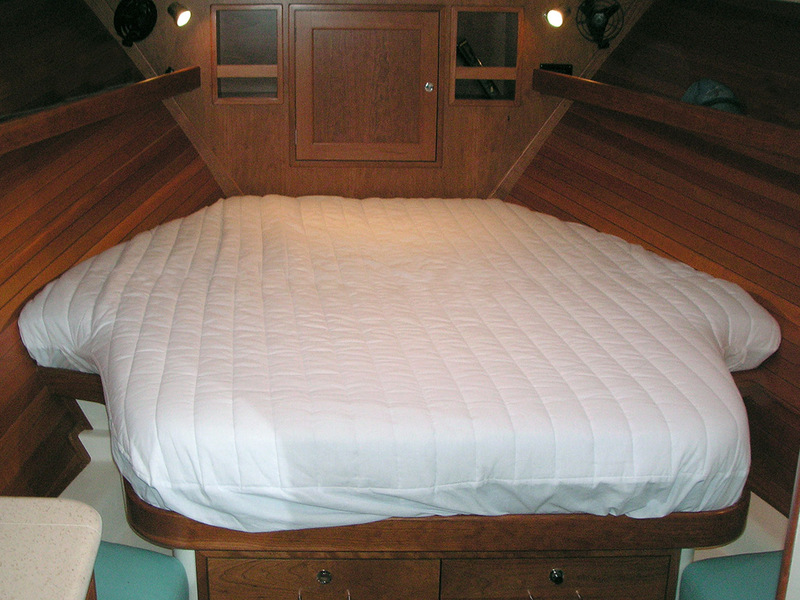 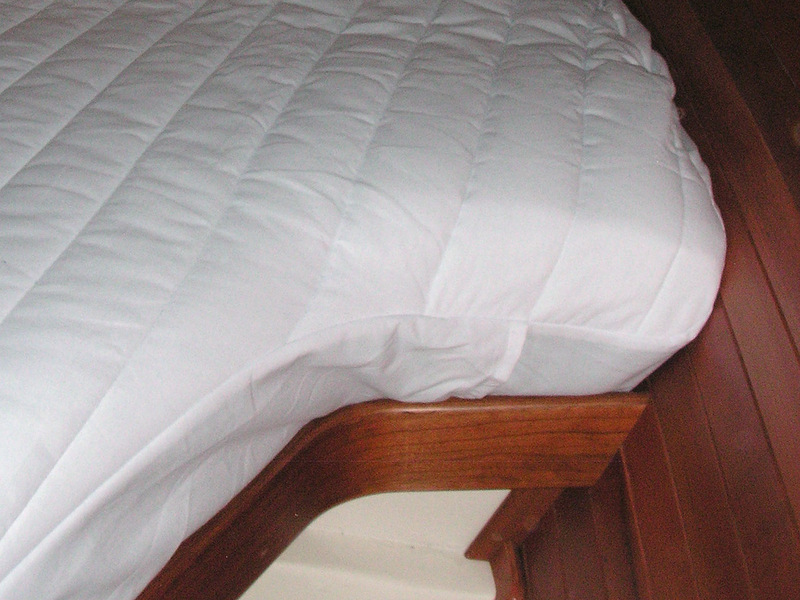 Our boat mattress pads are shaped to fit YOUR boat's mattress with sides that are made to accommodate the actual thickness of YOUR mattress. 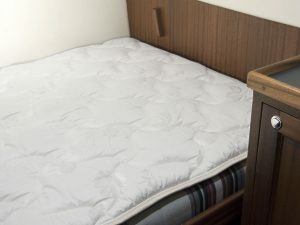 This can include an optional mattress topper, if you have one. 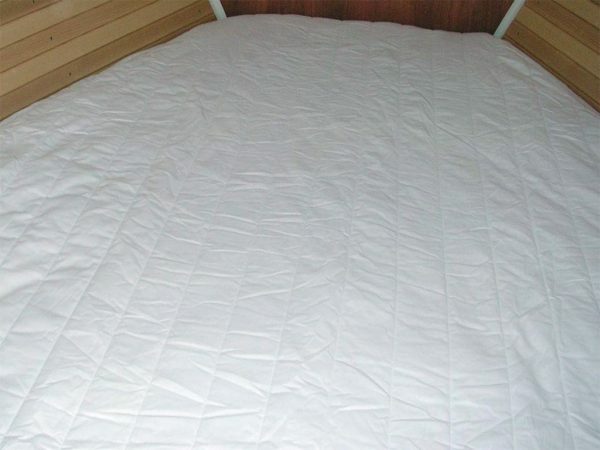 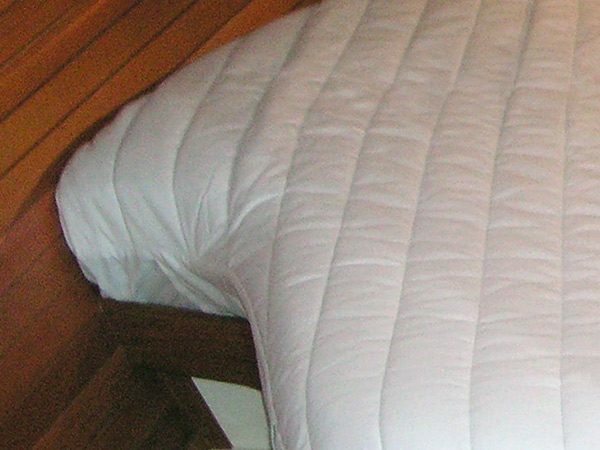 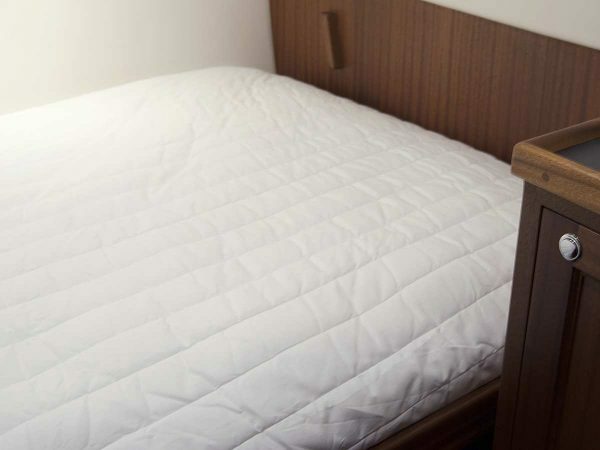 This boat mattress pad is made from 100% cotton and is machine washable.